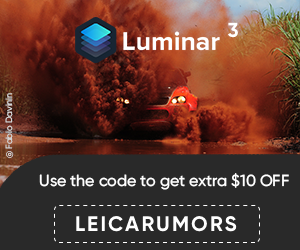 « Another leaked picture of the Leica M10 camera? January 10, 2017 – For the 37th year in a row, Leica Camera announces the return of the Oskar Barnack Award, the long-established, international photographic competition for professional photographers, and the ‘Leica Oskar Barnack Award Newcomer’ for up-and coming photographers under the age of 25. Named for the inventor of the revolutionary and iconic 35 mm camera, the ‘Ur-Leica’, the Oskar Barnack Awards will again be presented at a gala event in Berlin, where the award’s namesake began his career. The competition calls for the submission of images that document the interaction between people and their environment in creative and ground-breaking style and will award prizes amounting to a total cash value of €80,000 ($84,285). The winner in the main category will be honored with a cash prize of €25,000 ($26,339) and Leica M-System equipment (a camera and lens) valued at an additional €10,000 ($10,535). The winner of the Newcomer Award will be honored with a cash prize of €10,000 ($10,535) and will also receive a Leica rangefinder camera and lens. In addition to the two main categories, ten further submissions to the competition will each be honored with prizes of €2,500 ($2,633). The portfolios entered by all finalists will be published on the Leica Oskar Barnack Award website and in the magazine published specially for the competition. 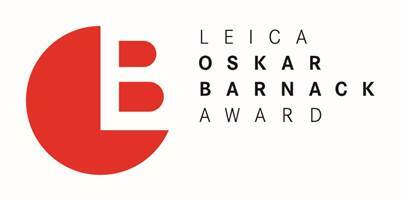 Entry for the 2017 Leica Oskar Barnack Award begins on March 1, 2017 and runs through April 10, 2017. Photographers can submit their applications and projects, as well as view the terms and conditions of entry online at www.leica-oskar-barnack-award.com.